Our KIDS DREAM Cart has finally made its way to Malaban Elementary School in Biñan, Laguna. On 15 September 2018, the KIDS Club team visited the school for the turnover of the Cart. It was received by School Principal Nenette Lacuarin together with Teacher Nadine Kwan Laurel. The Cart aims to support the school’s reading program under Teacher Nadine of Teach for the Philippines. The objective of the program is to help about 300 learners from Grades 2-6 learn how read and love learning. 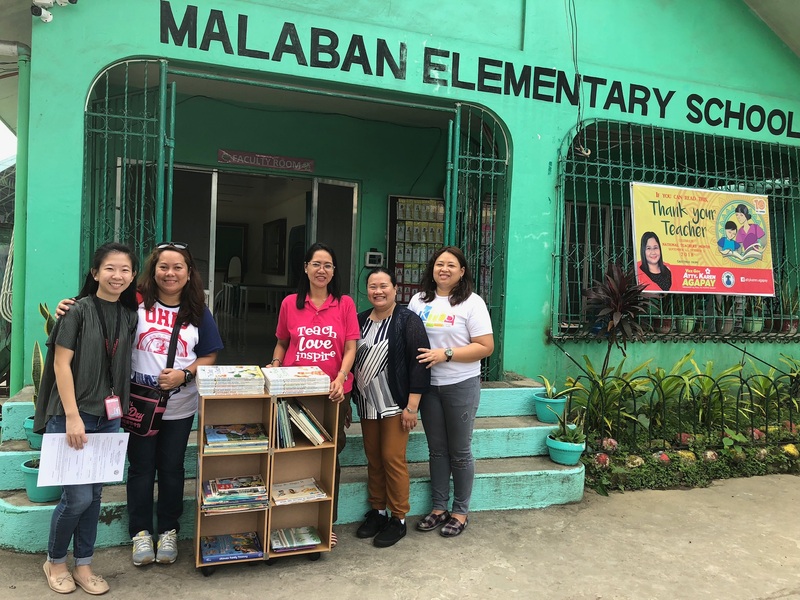 Malaban Elementary School is our second school recipient for the DREAM Cart project. We are thankful to Teacher Avegail Tolentino for bridging the club and the school. Through her request, we were able to reach out to more learners. Our sincerest appreciation also to Pinoy Reading Buddies, Makati City Library, family and friends for sharing your pre-loved books.